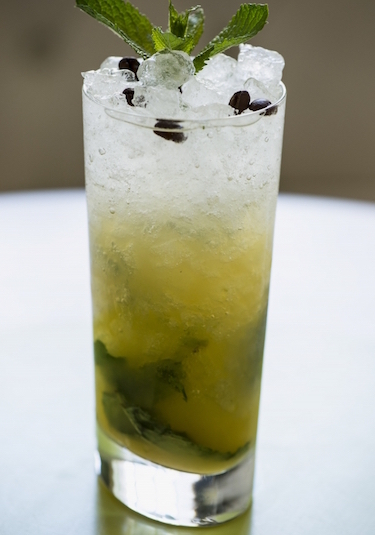 Gently muddle the mint with the sugar and lime juice, add the puree, rum and crushed ice. Stir together and top up with soda water. Garnish with mint and coffee beans.